Smoothies are a tasty, healthy way of getting in your daily dose of fruits and veggies. Making smoothies at home is an affordable alternative to purchasing them outside. You can customize your smoothie to your preferences and make a large batch to enjoy later. Itâ€™s easy to pick out a blender and start using it. However, there are some blenders that work better than others. 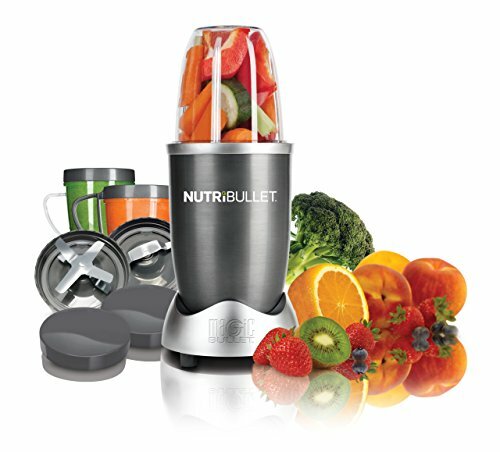 These quality blenders will help chop and blend your fruit more efficiently, as well as last a longer period of time. The issue is that there is often a tradeoff between cost and benefits. Take for example the Vitamix professional blender. It works great and blends quickly, but the problem is that it costs several hundred dollars! On the opposite end of the spectrum are blenders that are dirt cheap. It may seem like a big bargain at first if you spot a $10 blender and buy it, but the blades and machine will wear out, leaving you with no choice but to buy a new blender. This can result in having to replace your blenders and ending up frustrated. Here are five great blenders at great prices (all under $100! ), and what makes them ideal choices. At 1,000 Watts, this blender boasts a lot of power. No more fiddling with the buttons numerous times just to chop up the fruit. In seconds, the fruit goes from solids to liquid. The Ninja also works great with ice and frozen fruit, turning them into snow. One of the great benefits of the Ninja Professional Blender is that there is a single serve option. A big hassle involved in blending is having to wash multiple containers. 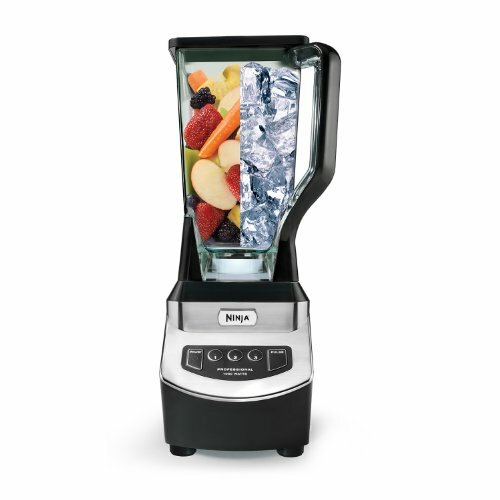 However, this blender contains a single serve in which you can blend the smoothie in a cup and drink it straight from cup that the fruits were blended from. All in all, the Ninja Professional Blender is a great device for pulverizing fruits. If you frequently use crushed ice in your smoothies, you should invest in one of these. If you looking for a mix of aesthetics and convenience, invest in one of these. This machine is available in four different colors: blue, green, orange and pink. The Oster may take a little longer compared to the premium machines, but is slightly quieter. It is an affordable blender that works amazingly, especially with the price. 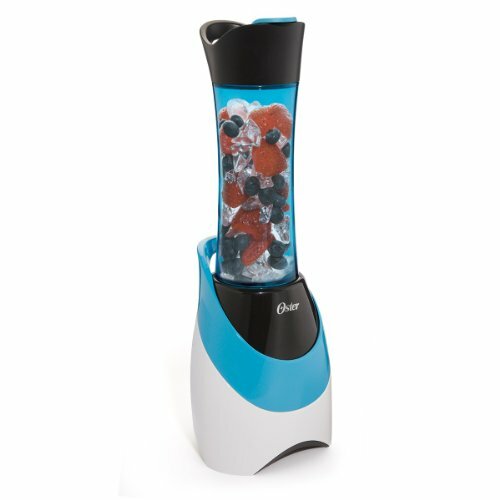 This machine is especially useful for those who have limited space in their home, since the Oster has a tall, sleek design and is smaller than your average blender. Health enthusiasts will love this machine, since the sport bottle is attached and can be easily be removed to be taken on the go. The pretty design and fun colors make this a great gift for someone, such as a college student living in a room or small apartment. The Magic Bullet comes with a few cups, including one tall cup and two short cups, which are great for those who want to make a few cups of smoothie in advance for the next few mornings to grab for work (or school). There's also a recipe booklet that comes with the order, which many have mentioned to be useful for incorporating a variety of ingredients, including a number of fruits and even flax seeds. Along with the array of things that are included in the Magic Bullet, this system is able to blend fruits and ice smoothly without issue. Clean up is wonderful with this product because the water can rinse the system clean within seconds. There is a reason why the Magic Bullet is so well known, and it is because of its powerful system alongside with an affordable price tag. At its price, the Cuisinart system is almost a steal with the amount of things that are included in the product: a 32-ounce blender cup, 8-ounce chopper cup and four 16-ounce "to go" cups. The pulse controls have a high and low option, which make for a very user friendly machine. The design on this device is quite neat, since the motor stops automatically when the cup is lifted off the base. This chopping system works great for smoothies, mochas, coffees, and even peanut butter. It could be slightly tricky to hand clean due to the narrowness of the cups. However, they are dishwasher safe and can easily be put into the dish wash for an easy clean. 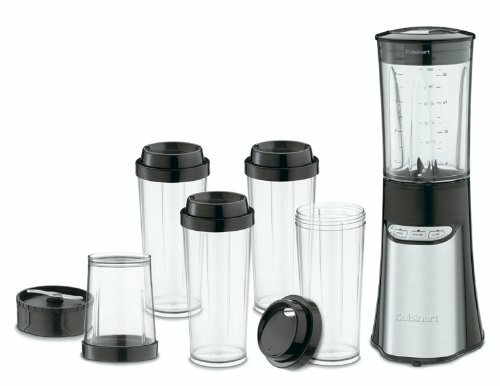 The Cuisinart blending / chopping system is great for people who require a blender for multiple purposes, and for families that have a couple members using the blender. The safety interlock and auto stop features are especially helpful for younger users to ensure that everyone is kept safe and to reduce the risk of any mess happening. The Hamilton Beach product operates on 700 Watts, making it a very powerful device especially considering its price range. It can easily blend up fruits and veggies, and the noise it produces proves so. The machine is large in design, with an easy pouring spout that ensures no mess is made when pouring. Also, the material is high quality since it is made of a glass top as opposed to a plastic one. This system is not the fanciest one out there, since there are four basic buttons. However, if its utility and strength that you're looking for, this is a great option. 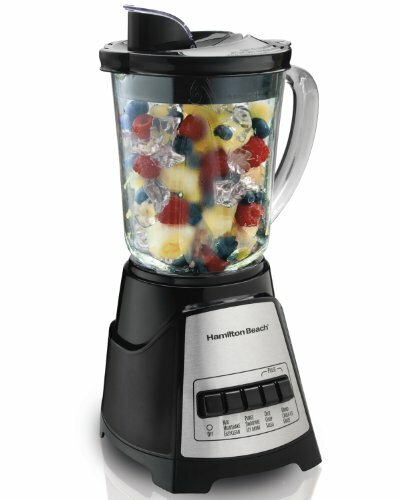 The Hamilton Beach is especially good when you are preparing a large batch of smoothie, such as for a party for a group lunch. The spout can easily pour into cups, making it easy for everyone to use. I love the Hamilton Beach blender also! It's affordable and blends up the best smoothies and milkshakes!